from Mascot Precission Tools. A sharp edged, triangular steel blade with hardwood handle. Ideal for cleaning, gunsmithing and deburring metals. 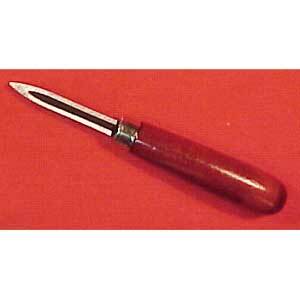 2-1/2" blade, 6-1/4" overall length.